You've made it to part 5! I really had to sort this out in my head before I started this series and 5 seemed like the natural breaking points between topics, but I wasn't sure I could power through and make it all the way here. You know how I like to quit things early sometimes. But here we are. As a refresher - part 1 was about finding your personal style, part 2 was about purging your closet, part 3 was about the different types of capsule wardrobes, and part 4 was about buying pieces for your wardrobe on a budget. This final post in the series is about maintaining the capsule wardrobe and the minimalist closet over time. It's pretty easy to spiral back out of control once you pare things down in your closet. 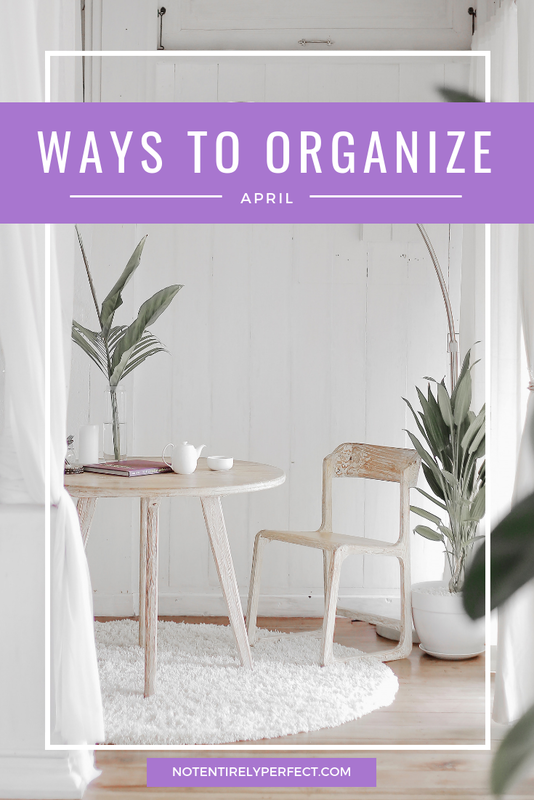 Even if you love minimalism and love the freedom and simplicity that the capsule wardrobe brings to your life, clothes are just one thing that seem to most easily accumulate. Maybe without you even noticing. So I have a couple of tips for you to keep you within these standards you set for yourself and maintaining a capsule wardrobe over time. Make changes slowly, especially when you get bored. As I already mentioned, you're absolutely going to make changes to your initial capsule wardrobe. You should! Your tastes and body will change, you'll grow and mature and be drawn to new styles and colors, and your capsule should grow and change with you, but without getting out of control. It can get very expensive very quickly if you decide to throw out everything you worked on and start completely new. Resist this urge and instead make changes slowly, like bringing in or getting rid of just one or two pieces each time. This will allow your capsule to grow with you, but still remain at a controlled and cohesive number. And recognize that, even if the desire to change doesn't come from a change in lifestyle or body type, you might just get plain old bored. That's normal. If you're feeling restless or craving more variety, you'll be surprised how much you can quell that with just one new piece, even if it's just a necklace, and suddenly feel totally refreshed with your wardrobe. (Just don't give in to that impulse too often!) Humans don't crave variety and change as much as we like to think we do. We're creatures of habit. Don't compare yourself to others. When you embraced your personal style in step one, it also ensured that you're not embracing anyone else's style, so don't compare. I love Lauren Conrad's style but she's a millionaire and I cannot afford all of the same pieces she has. I just need to make it work for me in my life, which is great because I don't want to be a clone of someone else anyway. So don't compare your capsule to mine or anyone else's and try to make changes because you'll just get discouraged. You'll likely also end up with too few or too many pieces, because you're trying to make something work that isn't meant for you. The more you focus on yourself, the more you'll love your wardrobe because it truly is what you picked out that you love. Don't focus on what you can't have. You can have it, I should clarify - any item you see, you can have it if you want it. But it might not necessarily fit your capsule, your life, your budget, or all of the above. And you set those boundaries for a reason. Example: I regularly find myself thinking about skinny jeans and black faux leather jackets. Would it be the end of the world if I bought those? Of course not. But they don't fit my capsule or my style. I'm Italian and have the hips to prove it, skinny jeans are my enemy. And a black faux leather jacket with all the zippers is just darker and edgier than anything I have, or really want to have, in my wardrobe. Bringing those items in would cause a bit of a chaos of 'what do I pair with it, did I spend too much, I'm not wearing it enough' that I don't want to deal with. Not when the purpose is simplicity. So don't spend your energy focusing on these items that look pretty but are right for someone else, not you. Buy your expensive, investment items slowly. 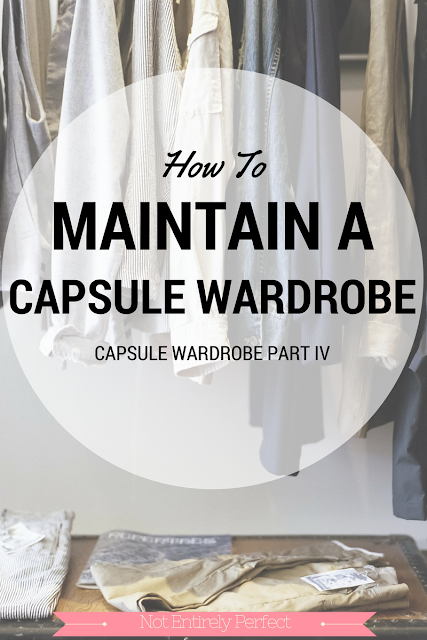 I touched on this in the last post about budgeting for your capsule wardrobe. I definitely believe in spending more where it matters, with those perfect for you investment pieces, but even if you can afford to go out and buy them all at once, I don't recommend doing it. By purchasing just one of these at a time, you will be much more particular, patient, and intentional with that purchase, which is one of the main benefits of a capsule wardrobe - the simplicity and slowness it brings to your daily life in an otherwise fast-paced and chaotic world. Plus, it gives you the time to learn how to care for that single new item you bought. How to properly wash the fabric, treat the leather if it's new shoes (and you're not morally opposed to leather, different conversation altogether), where to get heels re-soled, how to sew a button on if it's a winter coat (mine always get loose and now I know the fix!) These are key things to know when you purchase these high quality items to ensure they're going to last you for many years to come. Buying these one at a time allows you to focus your attention. And keep you away from those fast fashion items calling you from the window displays. I think remembering those couple of things will be beneficial when you get worried you might be adding too many clothes back in. Keeping the capsule style and size isn't a one and done type deal, it'll take some focus to really stay at the ideal level, if you're not already a minimalist. I really hope you liked this capsule wardrobe series and found it helpful to downsizing your own closet. If you've embraced any of the steps, I really want to hear about it! Tag me on Instagram or Twitter and tell me or show me what you've worked on. And if you have any additional questions or want some personalized help, just let me know in the comments and I'll do my best.